The Ceremonial Centre sits in an unusual saddle between two hilltops. 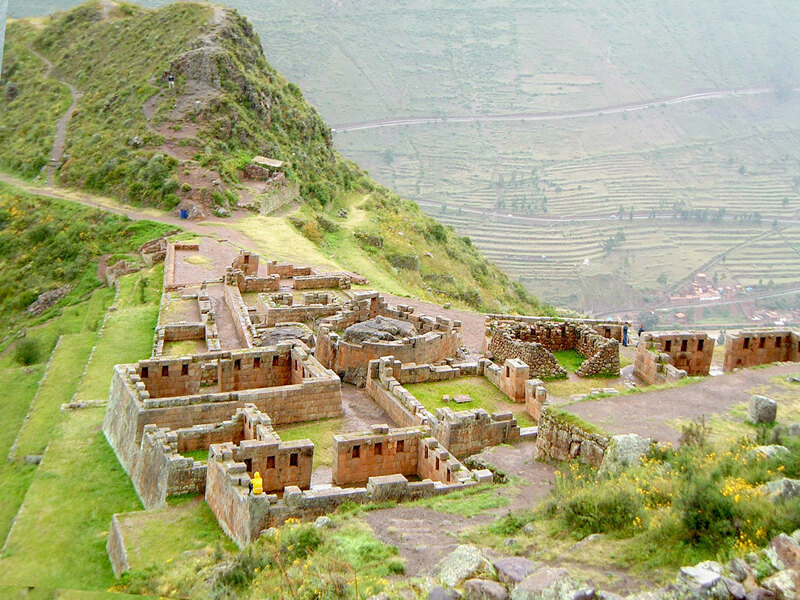 It is thought that this may have been one of the residencies of the infamous ruler Pachacuti. In the centre lies the rounded Temple of The Sun, with the Intiwatana encased within it.